On the roof are metal plates that capture the energy of the sun. In one corner, the biodigester works, converting organic waste into cooking gas. 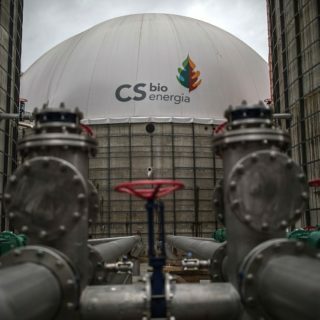 From the biodigestor, you can see PVC pipes allowing the biodigestion process to create the organic slurry. On a table are tools, including a gadget with cables and connectors: a portable photovoltaic storage system that can turn sunlight into electricity. 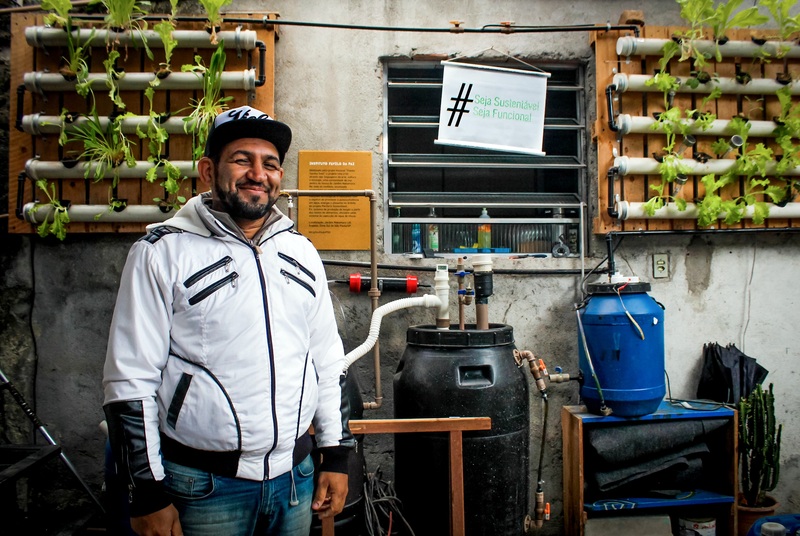 All these things fit into an area of 12 square meters (39 square feet), a futuristic lab with a backyard feel, in Jardim Ângela, one of the most populous neighborhoods of São Paulo. 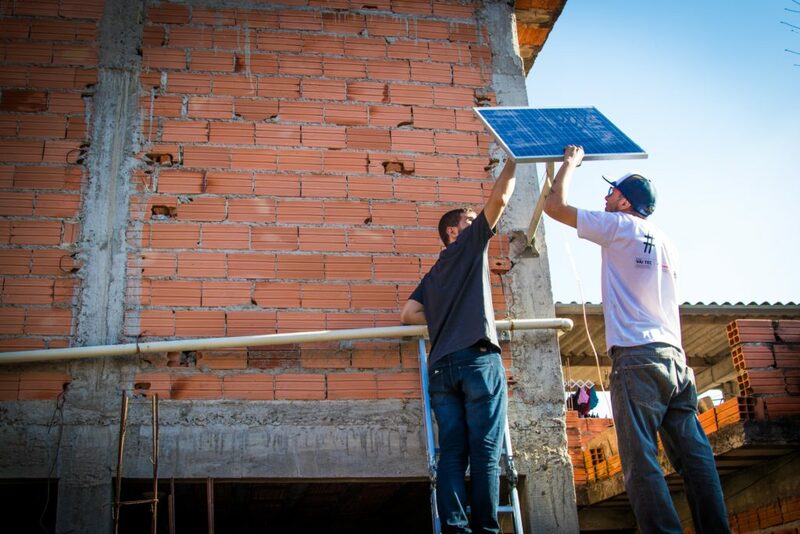 This is where the Miranda de Moura family began developing systems to transform their neighbors’ houses into models of energy sustainability. 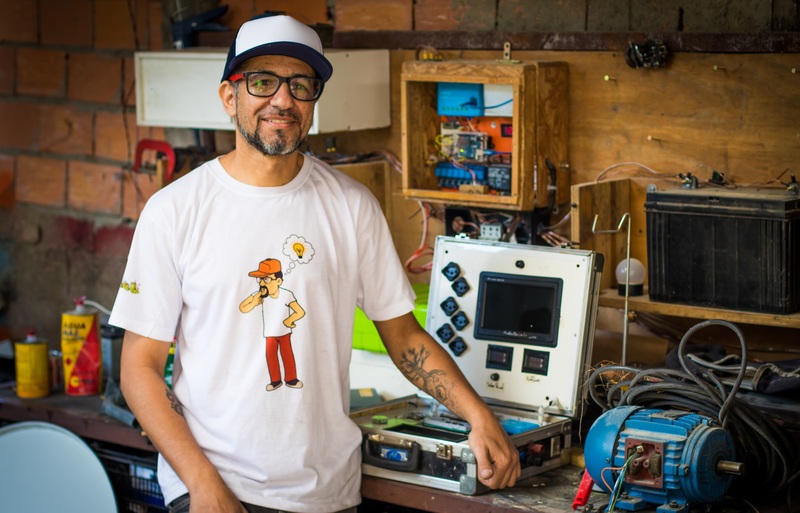 Fabio Miranda de Moura is called ‘Gyro Gearloose’ by his friends, in reference to a Walt Disney cartoon character, a chicken who is an inventor. 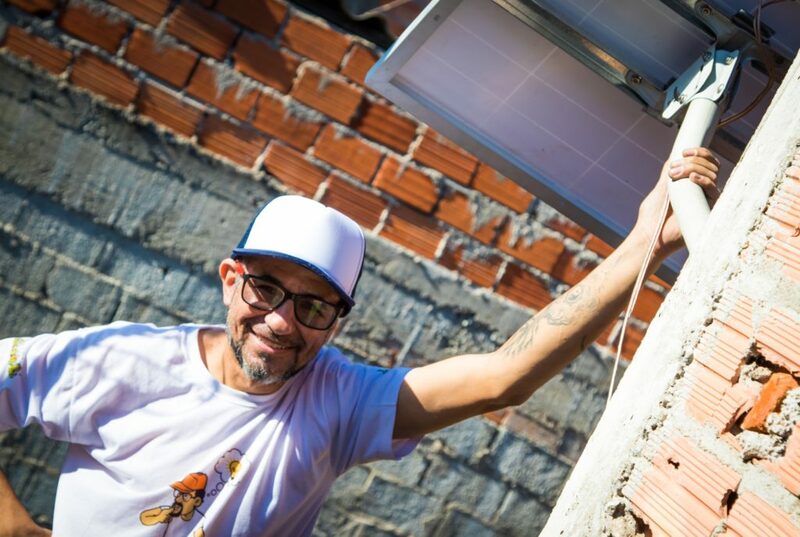 Miranda de Moura spends most of his time at home, where he teaches free courses on renewable energy. 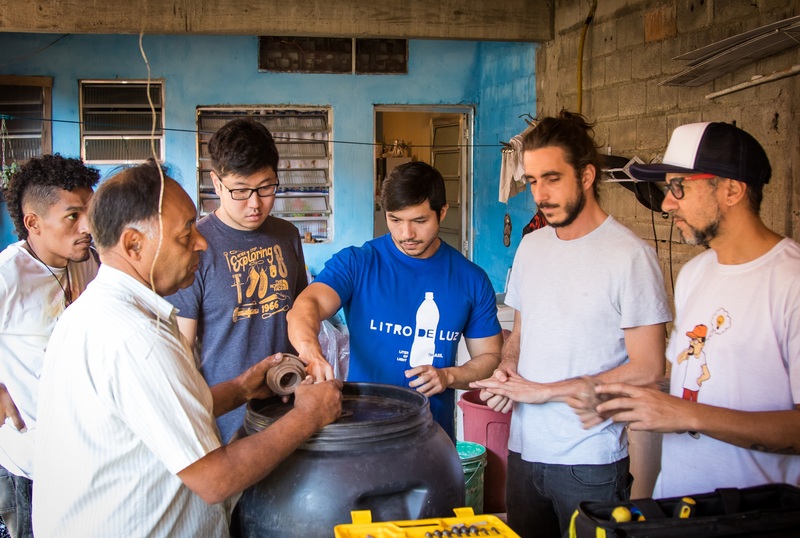 Over the past five months, he and his students have implemented biodigestion and solar energy systems in seven other homes and public places in the neighborhood. In a place with little infrastructure, making the suburb ever greener and more self-sufficient is not an option but a need. 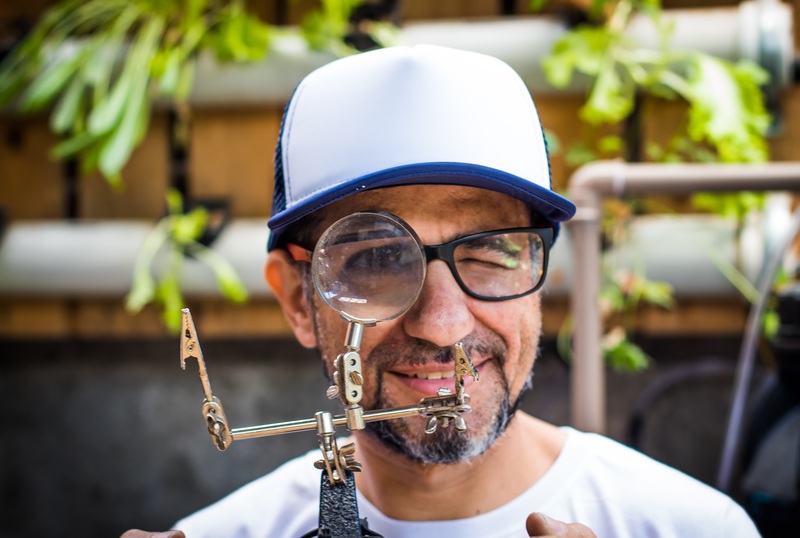 “Our idea is to teach more people and build more systems in more houses in a collaborative way,” says Fabio Miranda de Moura, who recently has given 15 lectures in public schools to more than 5,000 young people. In 2018, he intends to offer workshops on renewable energy for children and teenagers, with help from neighborhood residents who have already gone through his 10-month training course. 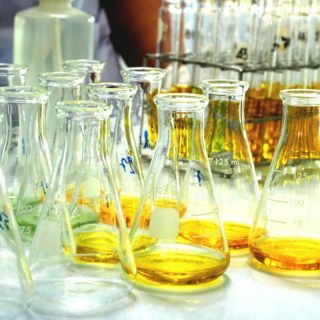 The workshops will be offered free of charge by Instituto Favela da Paz (Peace Slum). The inspiration for what is now Favela da Paz came after Claudio spent four months living in southern Portugal’s Tamera, one of Europe’s most important ecovillages. He went there in 2009 on a friend’s invitation. “When I came back, I said to Fabio: ‘They are creating things, some plates where the sun hits and generates energy. We must do the same! Quit your job and let’s start doing this!” remembers Claudio. A year later, Fabio went to Tamera, too, thanks to his savings and support from the inhabitants of the ecovillage. The NGO also maintains a recording studio for independent musicians, and there, too, it raises the banner of sustainability: Egg cartons provide acoustic insulation, discarded guitars and drums have been turned into chandeliers and the ventilation system was designed to cool the place with no need for an air conditioning system. In fact, it was in this studio that Favela da Paz’s history began. Music was responsible for encouraging the brothers to develop social projects in their neighborhood. In 1989, they created a band called Poesia do Samba (Samba Poetry), and offered classes to more than 300 young people from Jardim Ângela. They used recycled buckets and pieces of metal to provide beats or harmonies, due to the lack of musical instruments. 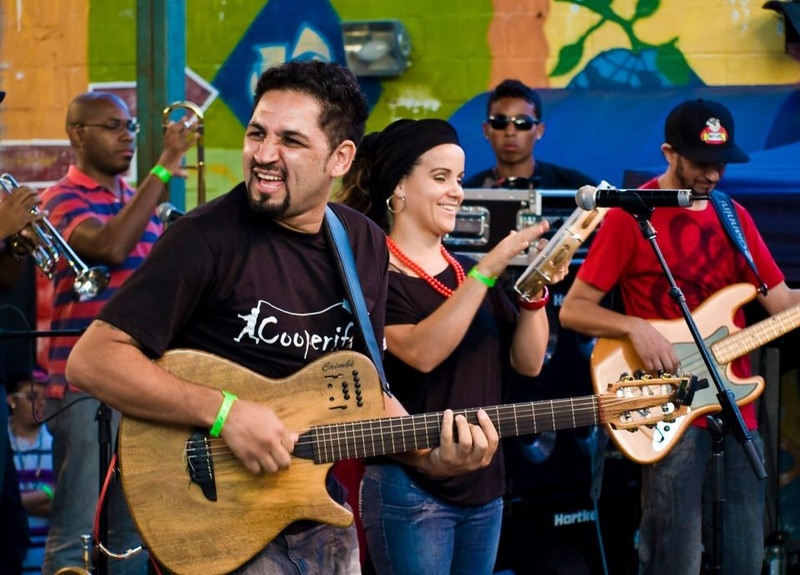 Years later, their band changed its name to Poesia Samba-Soul (Samba-Soul Poetry) and the shows generated income for the artists and inspiration for other local groups. Nowadays, the studio is used by about 100 musicians per month. Even in the middle of this reality, the Miranda de Moura family never wanted to quit their neighborhood. 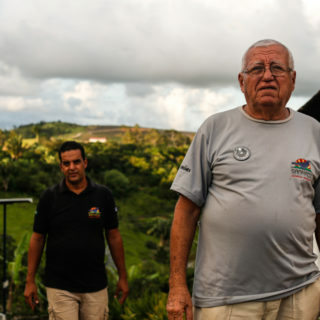 José Gerson de Moura, Claudio and Fabio’s father, found a refuge in Jardim Ângela when he came from Sergipe in the 70s, fleeing the great droughts that devastated northeast Brazil. On the other hand, São Paulo was experiencing its largest population growth in history, with more than 2.5 million immigrants during that period. The sudden growth pushed most people to the suburbs. “My father always told us to be what we wanted to be, not what society wanted us to be,” says Claudio. Today, Favela da Paz has employees and partners in America, Europe and Asia, including companies, organizations, schools and ecovillages. In São Paulo, the institute develops initiatives related to innovation, art, culture and sustainability that reach some 25,000 people a year. In 2018, the NGO will take another step forward, migrating from its founders’ house to a new building with rainwater storage systems, solar energy, a green roof, an organic vegetable garden and the neighborhood’s first vegetarian restaurant. The objective is to create the country’s first fully self-sustaining community center, with LEED certification. The acronym stands for Leadership in Energy and Environmental Design and is awarded by U.S. Green Building Council, an NGO setting the prevailing standards for the recognition of sustainable buildings. 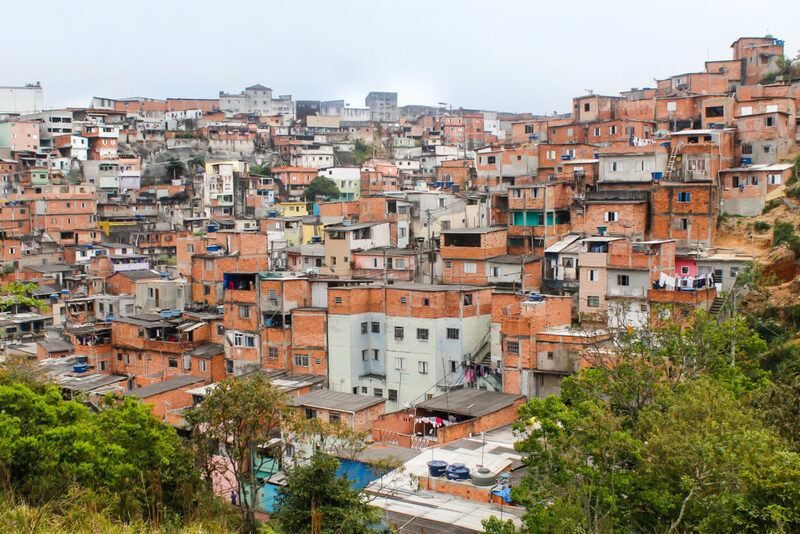 Videos and images illustrating this report were produced by Ake Filmes, a production company started by young people, which grew out of an cinema project at Favela da Paz Institute.